The Club Penguin Island team have finally posted the 1.6 Update Notes and it turns out that the update will be coming in September! No new information has been revealed from previous leaks. Play the game that’s a stone age craze—Fossil Four! Gain XP and make your way to Level 24! 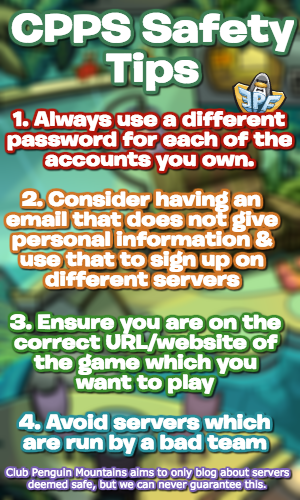 Improve your skills with Tour Guide signs for gameplay tips! Adventure with Rookie to reach Mount Blizzard’s peak—all while earning new emojis and patterns! Visit the Disney Shop and grab onto some DuckTales fashion! Woo-oo! Choose your style with new designs like anime hair, foodie costumes, and more! Unfortunately, it does seem like non-members are limited in this update although they will be able to play Fossil Four! 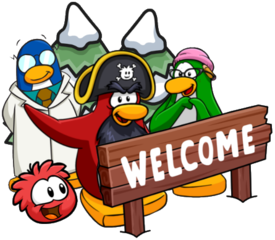 It also confirms that puffles and igloos won’t be coming which is disappointing based on how little information has been released and how a lot of this month has been filled with Disney advertisements. However, I am glad new chapter of Rookie’s Adventures will be coming and the idea of climbing Mt. Blizzard looks awesome! Although we know officially that the update is coming in September, the files suggest that the update will come out on September 6th though this is not confirmed. Thank you very much for reading and be sure to check back for more of the latest Club Penguin Island news and guides! Sep 6 and end of august are really close so idea why everyone is arguing that 1.6 isn’t in aug! Maybe in sep we could have 2 updates maybe? Or maybe there’s the computer version coming and that’s why the updates are late! Also, how do you access game files, I found the cached code and events files and cached images and stuff. But none of the items in 1.6! I think the reason why people are confused as it may delay all updates by two months! And no, unless plans change, the update after that will be towards the end of October! Oo, good question! Unfortunately I don’t know the answer myself – I assume what you did was use Inspect Element which can only find things on the CPI website, not the game. However, I do know people who share what they find so I’ll keep you updated on that.